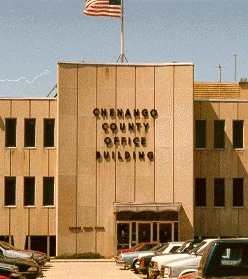 Chenango County is currently offering a subscription based website hosted by Systems Development Group that offers aerial pictography with tax map overlay and Real Property information for corresponding properties. Information includes but not limited to, property owner name; acreage or lot size; property location; deed references; assessments; and owner mailing. 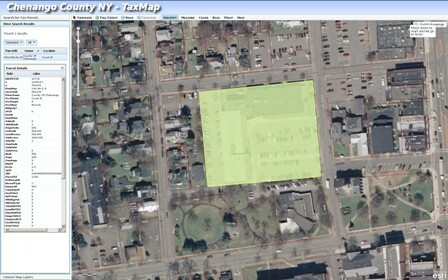 Property searches can be performed by owner name, tax map number and/or parcel location. There is an ability to view maps as tax maps or with aerial photo with tax map overlay, also includes tools for measuring, identifying abutters, zooming in & out, and full county viewing. Printing abilities include 8 ½ X 11inch and 11 X 17 inch paper sizes with the option for a set scale or scale to fit print. The cost for the subscription is $250.00 annually with an additional PIN fee of $25.00. Total cost would be $275.00. Should you want to continue your subscription and it is renewed prior to your annual due date the PIN fee will be waived and the total cost for renewal will be $250.00. To subscribe or for more information call 607-337-1494.